So you guys say If I don't use all of these air runes to blow the little piggys house down I won't get coal this year? "You're gonna need a bigger Sleigh." 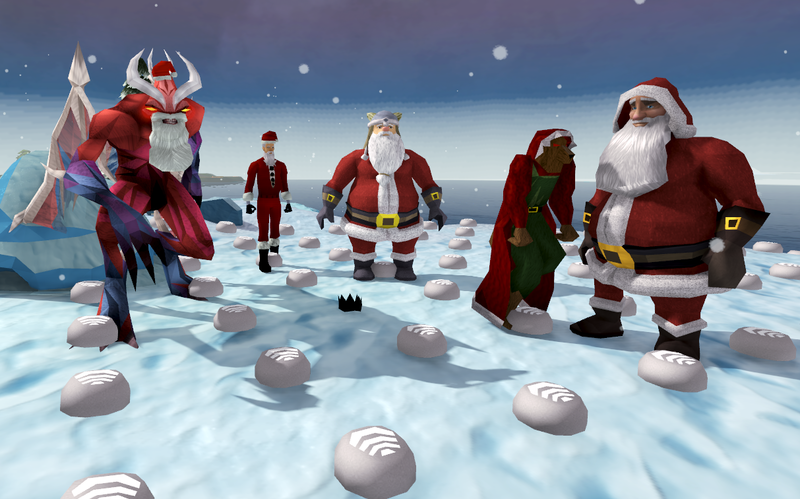 Santas' on air, party (hat) on ice! This isn't what I meant when I said Christmas is in the air! How do you make Santa's sleigh fly? Use some air runes on it! Santa: Hey Grandma why are your fangs so big. Wolf Santa: The better to open presents with my dear. Fremennick Santa: Hey Grandpa why are your claws so long. Demon Santa: The better to place Christmas lights my dear.